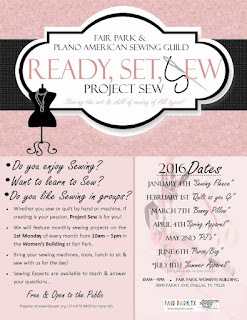 Dallas Crafters Marathon: Ready, Set, Sew! 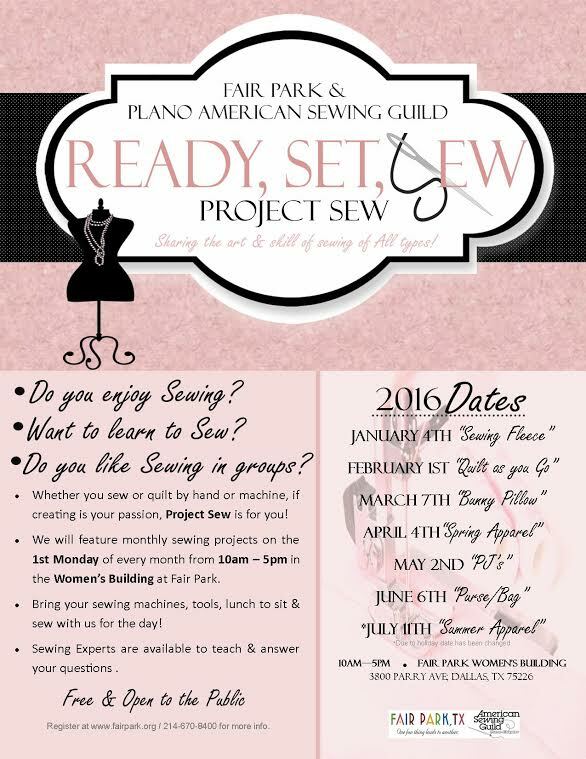 For those of you that are interested in sewing, one of our fellow crafters is involved with Ready, Set, Sew, Project Sew. Monica Tetteh wanted to invite you all to these events throughout 2016. Please see the flyer below and we encourage you to participate if you would like! Please note that this event is not held at the DCM location.